Swindon’s showpiece £10m UTC building has been nominated for three awards in a regional scheme that champions the best construction projects of the past 12 months. 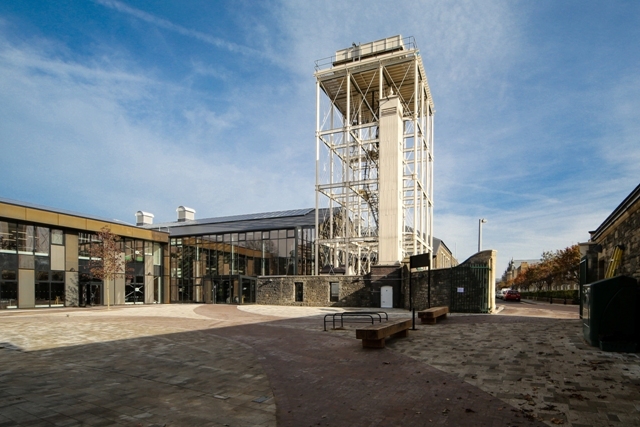 The state-of-the-art University Technical College, built on part of Swindon’s original Great Western Railworks, is shortlisted for Best Change of use of an Existing Building or Conversion, Best Public Service Building, and Best Educational Building in the 2015 West of England Regional LABC (Local Authority Building Control) Building Excellence Awards. The stunning architecture and high-quality build, by architects Scott Brownrigg and construction group BAM, includes light-filled workshops and classrooms designed to imitate real-life workplaces. The site also houses a lecture theatre and a hub area where students can generate ideas, socialise and inspire others. It also creates a link between Swindon’s engineering heritage and its future by prominently featuring the site’s renovated and restored old school building and iconic water tower – both Grade II listed and now back in educational use. The building was used as the official launch pad for the Conservative Party’s recent General Election campaign, attended by the entire Cabinet and scores of media outlets. During the visit Prime Minister David Cameron described it as a “remarkable school” while school reform minister Nick Gibb declared it “one of the best school buildings” he had ever seen. The awards celebrate all aspects of the construction industry across the region. As well as aesthetics, they recognise technical innovation, sustainability and high performance. The winners will be announced at an awards ceremony in Bristol on July 10. Winning any of the awards will put UTC Swindon into the LABC national final. UTC Swindon, which caters for 600 students aged 14 to 19 who aspire to a career in engineering, opened its doors last September. One of 90-plus UTCs across the country, it is run by a trust sponsored by Johnson Matthey Fuel Cells and Oxford Brookes University.